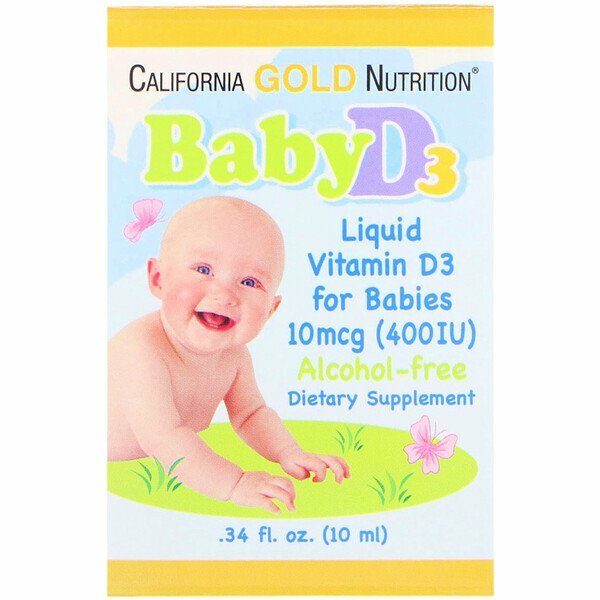 Vitamin D supplementation for infants is recommended because breastfed infants generally do not obtain adequate Vitamin D from other sources. 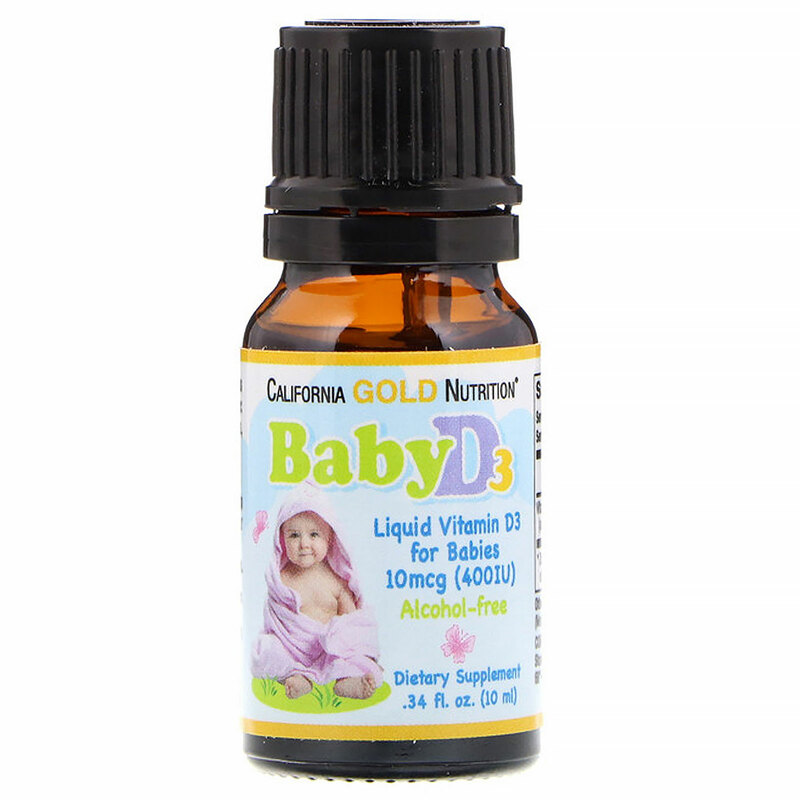 If breast-feeding or partially breast-feeding your baby: Give your baby 10 mcg (400 IU) of liquid vitamin D a day - starting in the first few days after birth. Continue giving your baby 10 mcg (400 IU) of vitamin D until you wean your baby and he or she is drinking 32 ounces (approximately 1 liter) a day of vitamin D-fortified formula or, after age 12 months, whole cow's milk. If feeding your baby less than 32 ounces (about 1 liter) a day of a Vitamin D-fortified formula: Give your baby 10 mcg (400 IU) of liquid vitamin D a day - starting in the first few days after birth. Continue giving your baby 10 mcg (400 IU) of vitamin D until he or she drinks at least 32 ounces (approximately 1 liter) a day. 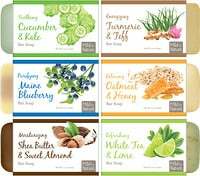 Suggested use for infants through 12 months of age: 1 drop daily added to formula, milk, juice or other foods. Fractionated coconut oil (medium chain triglycerides from coconut). Do not exceed 1 drop per day unless directed by your healthcare professional. Store in a cool, dry place, ideally between 68º-77ºF. 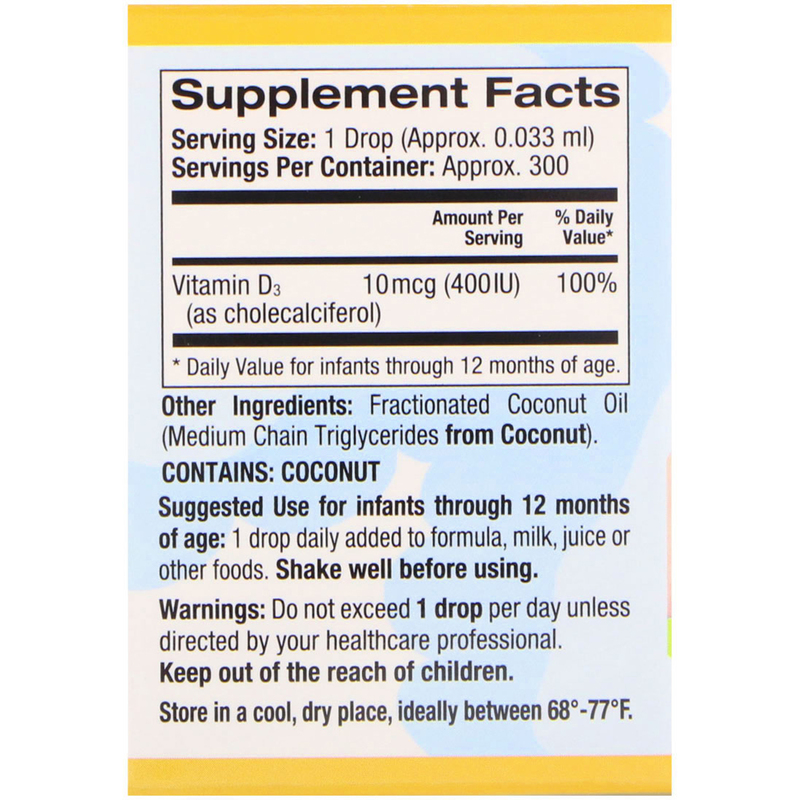 *Daily Value for infants through 12 months of age.